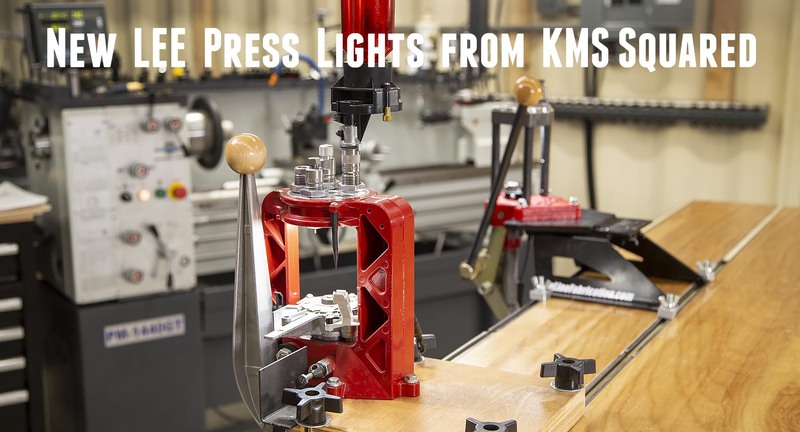 It’s always fun to try new products, and the latest lights from KMS Squared are no exception! Recently released, the KMS Squared UFO LM is designed for the LEE Loadmaster, and the KMS Squared UFO LT fits LEE Turrets and the new LEE Breech Lock Pro. Let’s take a look at these new lights! Everything you need to add a powerful light to your LEE Loadmaster! Here’s some good news: you will have the opportunity to win a free UFO lighting kit- in fact, I’ll be giving away one within a week of the publication of this article. Make sure you’re subscribed to get all of the details! Do you have a UFO light on your press? I’d LOVE to hear your experiences! Please leave a comment. It is nice to see that they gave us plebs some product support. I don’t own any Lee Loading products as I personally use Dillon presses, but do they offer lighting kits for other presses like mine? Also, in your video you mentioned you’ll be giving away some of these light setups but i didn’t see anywhere on this page where I can sign up and try to win. Could you please advise? Thank you for letting me be a subscriber to your channel. While I have been reloading for over 40 years I have picked up a few tips here and there while watching your channel and video, so I really appreciate it.